Hi friends! 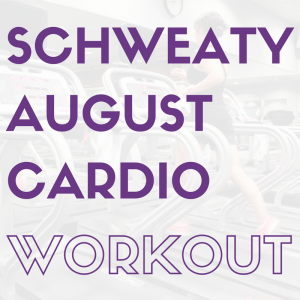 Happy Monday <3 Before I get into my near-death experience story (not really, but still super creepy), here’s a Schweaty July Workout for ya. This is part of the July Workout Calendar, so feel free to hop in and join in as much as you’d like over the next month. I’ll be providing new workouts + calendars as a way to help set up your own training plans, but always adjust or make changes to accommodate your personal needs. Of course, check with a doc before making any fitness changes. 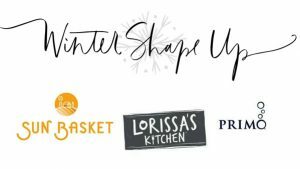 As sad as I was to see the Summer Shape Up end, I was also excited to start creating new monthly workouts to share- hope you love this one! 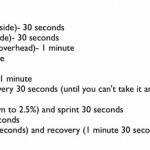 This workout can be done on any cardio equipment of choice (I’d recommend the treadmill, elliptical or spin bike) and has suggestions for incline and speed. Push yourself, mmm k? If it says increase resistance or speed, increase it according to your fitness until you reach your personal level 9 of exertion. 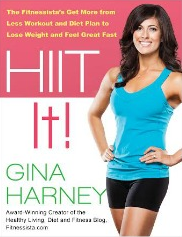 As the title suggests, you should be dripping sweat when it’s all over! If you still have energy to burn, you can repeat the meaty portion of the workout (skipping the warm-up) one more time if you’d like. I looked up the sideway to see a rattlesnake slithering towards us on the sidewalk. Thank goodness she saw it. If I were out there on my own, I would have been walking, messing with my phone and probably would have ran straight into the snake. New habit: be a little more aware of my surroundings. Yipes. I still have the herby jeebies. In honor of “Make It Happen” Monday (declare a goal for the week and write it down! Make it happen), I thought it would be fun to talk a little about motivational and inspirational reads. I have this one on CD and is awesome for long commutes, especially when you’re trying to figure out a plan to set and achieve goals. 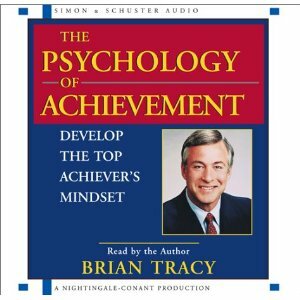 Brian Tracy also has a pleasant voice to listen to, and his words of advice and wisdom helps me back to the core of my goals and create an action plan. I’ve read this book twice and it’s a fantastic reminder that everyone can see the same thing very differently. It provides steps to creating your own personal change while using resources to the best of your ability. This book kind of has a goofy rep, but I’m a believer. I don’t think that by “thinking about things you’re making them magically happen” but that by keeping your goals and desires constantly in your mind, you’re more likely to take steps everyday towards achieving them. It’s an easy read, and one that I definitely recommend. So you do read self-help or motivational books? What are your favorites? What’s something you’re going to make happen this week? Mine: film Tabata Thursday video (#3! Wahoo!) and get the house baby-proofed. It’s so funny you did this post today. I actually was looking for a good motivational book so that I can get myself out of the “slump” I’m in. I definitely want to read 7 Habits of Highly Effective People but I think I’m leaning towards Live the Dream by Larry Winters or Commanding your Morning by Cindy Trimm. Both had really good ratings. Have you read either of those? thanks for the book recs! I love motivational reads like those! What?! No 50 Shades of Grey? 😉 I haven’t even attempted it… probably won’t. I’ve been hearing good things about 7 Habits… maybe I’ll check it out. My goal this week will be to (1) write at least 25 pages of my graduate thesis, and (2) eat healthier. 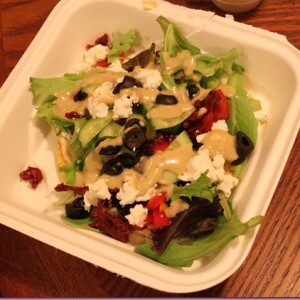 I had TERRIBLE eating habits last week. This Make It Happen is a great idea! Good way to start the week! I’m a hit or miss with motivational reads. I usually avoid them, until my friend introduced me to two books – Wide Awake and Strong Women, both religious at the core, and both with the same message – live your life to it’s fullest! I really love “The 7 Habits” one. Read it in college and it has always stuck with me! I love PUSH by Chalene Johnson! 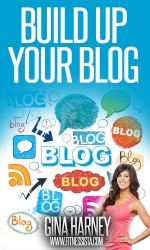 I am reading it right now and blogging about my journey. I like this Make it Happen business! 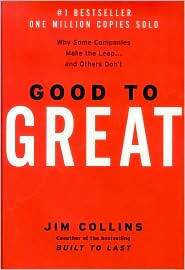 And thanks for the book suggestions – I think I’ll try to find the Good to Great one. 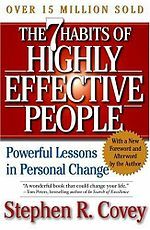 7 Habits of Highly Effective People (as well as the teen version) are 2 of my favourites. Have a great afternoon Gina! It’s super cliche, but I really love Jillian Michaels’ books. I like her “aggressive because I love you” style. My hubs has read 7 habits and we’ve both read The Secret. Great reminders about the power of thoughts! And that snake story…I would have been freaking and still heeby-jeeby’ing! How weird! I was going to email you and ask which motivational books you would recommend! What a coincidence. I have never read a motivational book, but feel as though I need one at this moment. Thanks for the ideas! I had no clue where to start. I really love the way you take charge of your life and go after what you want! I’m haven’t really read many motivational style books, but I’m always up for trying new things! Thanks for the recommendations of your faves. Good thing there was a woman there to notice the snake! Yikes!! I just received Chalene Johnson’s Car Smart motivational CD for my birthday and apparently, she follows Brian Tracy! Yikes! I’m seriously afraid of rattlesnakes, so I’m glad I don’t live in the desert. What’d you do? Back away or make a long detour to avoid it? I’ve never read a motivational book. I don’t know that they are really my thing, but I’d be willing to give one a try. 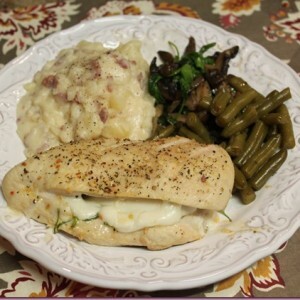 My goals for this week are ease back into work after vacation (sad face) and cook healthy meals every day. I saw you tweet last night about the rattle snake! I probably would have cried! Good post! Can’t wait to read some of these! My goals are to eat cleaner, work in my classroom, workout twice a day at least two days this week, and try a new class at the gym. Hey Gina, I have a quick question. Do you think we could keep doing the summer shape up workouts for a few weeks if we want to build more muscle? Like, could I pick one of the workouts and do it 3 days a week for 2 more weeks and then change it up? I’m trying to really just get a bit more toned rather than lose weight per say, so strength training really makes a big difference. I know a lot of random exercises but I get to the gym and feel overwhelmed, so I need a bit of a plan, and those ssu workouts were awesome! What do you recommend? Wow – that’s terrifying! I live no where close to a desert, so I can’t imagine the scary creatures you mention running into! 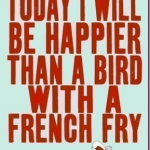 Thanks for “make it happen Monday” – I really like that idea. My goal for the week is to do some cleaning! My apartment is pretty filthy. Yuck! thanks for the book suggestions… I actually have the secret on my book shelf but haven’t picked it up yet! I will be sure to check it out. I’ve read 2 of those books and highly recommend them! They were great reads! We actually read them in a Psychology class of mine to sort of “disprove” the theories they explained, but I half disagreed with the professor haha. And still really liked them. I’ll have to look out for the other 2! 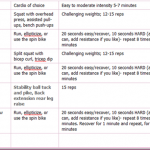 My two goals are to try out your Tabata Thursday video. (I’ve been too intimidated to try it before now.) I also want to (finally) make it to yoga in the park (which is every Saturday morning where I live. I’ve been out of town almost every weekend or had someone come visit, so I haven’t been able to. I finally have this weekend free, so I must go! Good luck with your goals! I’ve always heard of the 7 habits of successful people but have never read it! I think I might need to go pick it up! I love the Secret! I’ve read it before and loved it! I find books like this super motivating! I am going to run two times this week! No matter what! 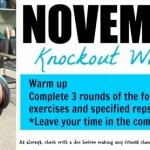 I love the workout, going to try it on my elliptical tomorrow. I don’t have incline adjustments on my machine but I can change the resistance so will have to do it that way. And I am terrified of snakes! I would be having nightmares about that encounter. I totally walked by a rattlesnake when hiking with the hubby and baby a few weeks ago! It didn’t rattle, but I saw the rattle on the tail as it slithered up the hill next to me. Seriously, it was three feet away from me! Fortunately it was a well-traveled trail and he was just moseying up the hill all un-threatened, but still! I love “Good to Great”, and “Seven Habits”! Actually, I am expecting my new Franklin Covey planner today 🙂 The planning system is a little time-consuming at first but it really keeps me so much more focused. Otherwise I get “analysis paralysis” by all the stuff I think I have to do. For anyone who liked “7 Habits” this book is a fantastic continuation & further development of how to design the habits you want to have: “The Power of Habit: Why We Do What We Do in Life and Business” by Charles Duhigg. Someone gave it to me last year and I found it fantastic. Another one I love is “Get Off Your “But”: How to End Self-Sabotage and Stand Up for Yourself” by Sean Stephenson and Anthony Robbins. Sean Stephenson was born with brittle bone disease – which should have killed him by now according to his doctors. Instead he leads a life of optimism and adventure and this book is about how he changed his thinking to do that. The guy has more of a physical limitation than most and yet he lives with more life in each day than I do. And the book is full of humor and is uplifting. If you are looking for a better perspective and a more powerful way of thinking about how to create the life and body you want, this book rocks. In fact I’m so glad you did this post Gina because I needed to remember what I learned in these books and make it happen. Thanks!! Loved this workout!!! This was the perfect workout before going back to work tonight (aka coaching tball to 5 year olds ALL day) …sweaty is right!! 🙂 thanks! I love the Secret too. The film is even cheezier but it’s SO true. Put it out there and put in the time, you’ll succeed!! I personally love The Power of Now by Eckhart Tolle!! Question for ya (and I’m sure you’ve received this one before): for the schweaty workouts, any tips for those of us without gym memberships? I don’t have a machine to work on (just my legs and my bike!). Maybe an interval-ish/speed workout walking/running at the track??? I’ve read a few “self-help” books in my day 😉 some of my faves: The Road Less Traveled and Finding your own north star (never finished this one but recently pulled it back off the shelf!). I took a class called “The Science of Happiness” my senior year of college. We read a book called “The Brain that Changes Itself” that is a bit self-helpy. The book discusses the power we have to change our brain and make new associations. It has really helped me to stop and realize times when my mind was creating stressful situations for no reason, and how much power we really have over our brain. I highly recommend skimming through it. I’m almost done reading, “Reinventing the Body, Resurrecting the Soul: How to Create a New You” by Deepak Chopra. It’s a brilliant, brilliant read and a extremely insightful. I’d definitely recommend it! Got back from a 4-day vacation today and made myself get to the gym – and I’m so glad I did! Rocked out three rounds of the SSUp week 1 weights (I’m repeating the shape up because I’m going to Vegas in 4 weeks and wanna be bikini-ready!!) followed by Schweaty July….and boy, was I SCHWEATY!! Fun fact: I’d always loved your stories about Bella loving sweet potatoes, and today my BF discovered that my pup Dolly is totally crazy for them too!! I have a question; when you do the elliptical workouts like that (or in general, when you do the elliptical), do you distract yourself with a magazine, etc.? I like to zone out when on a machine, and your workouts make me think I’d have to really watch the clock (which I hate doing) to know when to increase resistance or speed next. Are you able to watch the clock easily? That is so difficult for me during a workout, as it makes it feel like it drags.